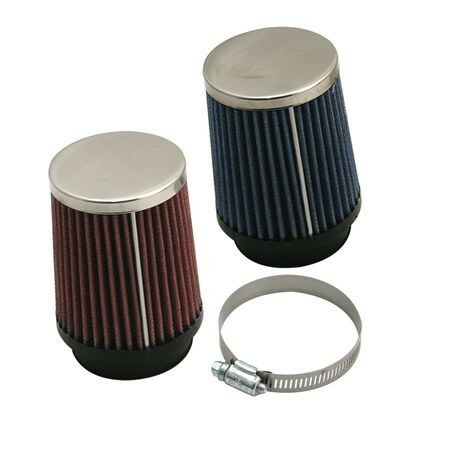 Replacement tapered filter for the S&S® Tuned Induction System. High flow washable and reusable cotton media provides performance, protection, and economy. Available in choice of blue or red. Sold each. Two required.